Do you remember Idle Hands Bar? 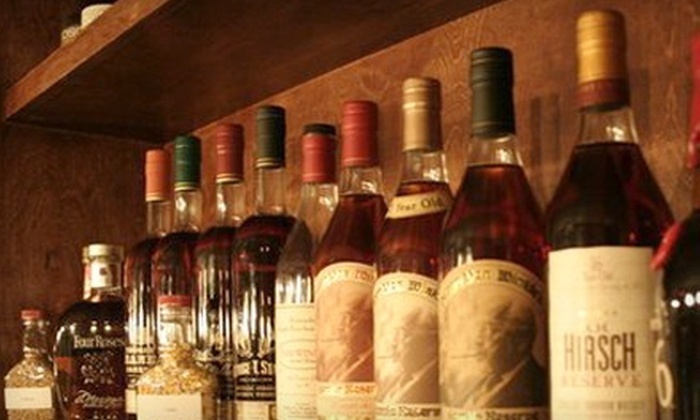 It was a pretty awesome basement bar in the East Village of NYC with a MASSIVE collection of bourbon. 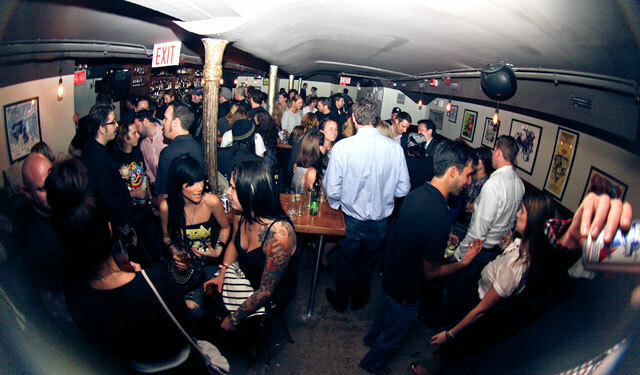 It was also known for its unique craft beer program with specialty beers, Slayer beer pairings, recording setting tap takeovers and it was GWAR’s fave bar in NYC. Yours truly was one of the owners. You know who remembers? The Beer Friends. They recently asked me to join them on their podcast to talk about Idle Hands Bar. 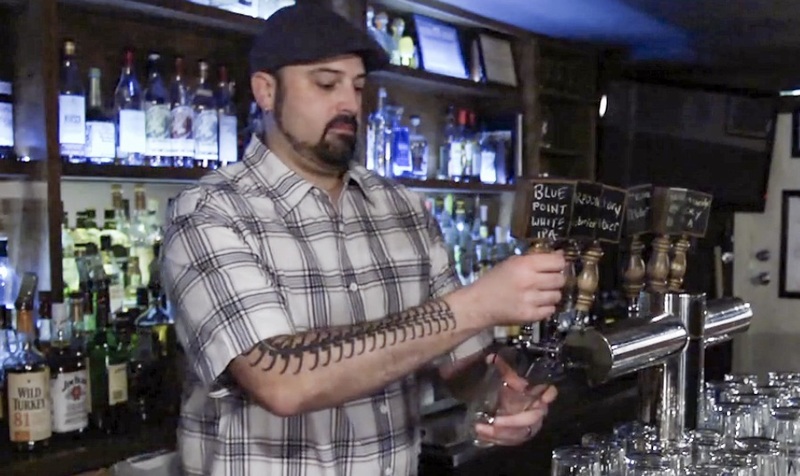 We talk about all the above as well as how the proliferation of craft beer has affected NYC, ways in which a small bar can out market its local competitors. Click to listen above or check out the post on the Beer Friends Radio website. On the show, we also talk about the history of the Good Beer Passport. 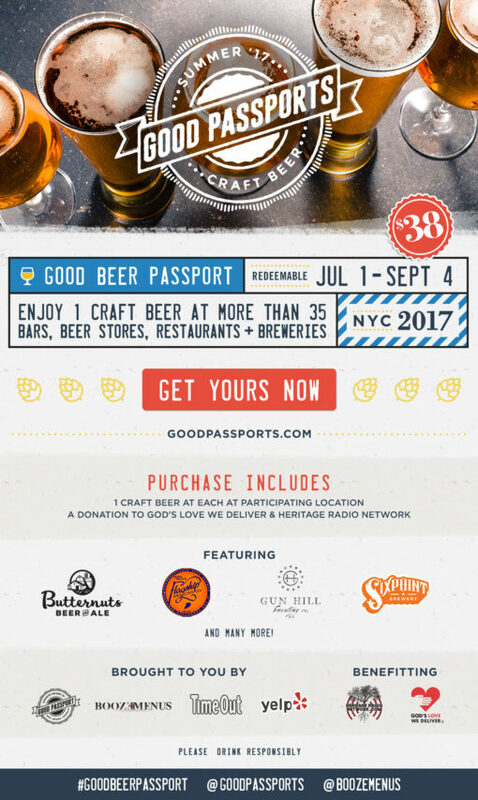 The Good Beer Passport gets you 42 craft beers at 42 different bars, breweries, beer stores & restaurants all over the NYC area. You can use it any day, any time from July 1 through Labor Day! Click here to get your Good Beer Passport now! Update: Right after I published this blog post, I received the following email from Google My Business. 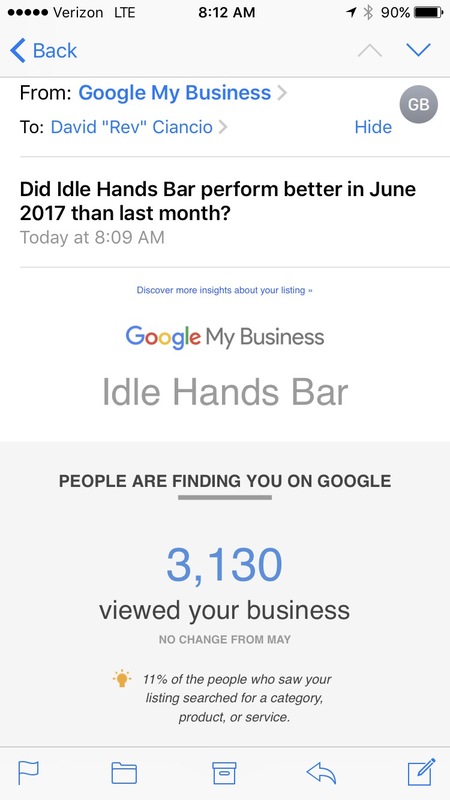 The bar hasn’t been open since 2015 and still gets this kind of activity from search. Here are some examples of the crazier things (some mentioned in the podcast) that used to happen at Idle Hands Bar. Eat more burgers and cheesy tots too. Coming back tonight in a very limited quantity: The Sixth Man Burger with @BurgerMaker #Wagyu. Get here early if you want one. Still a few spots left tonight for the 4th annual winter warmer & Black Sabbath beer pairing from 7-9p. Only $10. This entry was posted in Beer, East Village, New York and tagged beastie boys beer pairing, beer, beer friends, best bar nyc, bourbon, craft beer, good beer passport, idle hands bar, nyc, podcast, rev ciancio. Bookmark the permalink.